Welcome to our new column about books and reading. This month, Katrina Spencer and Kat Cyr, two of our newest library staff, talk to us about what’s on their reading lists. If you are also a member of the Middlebury community and interested in sharing a brief review of something you are reading these days, please email us! 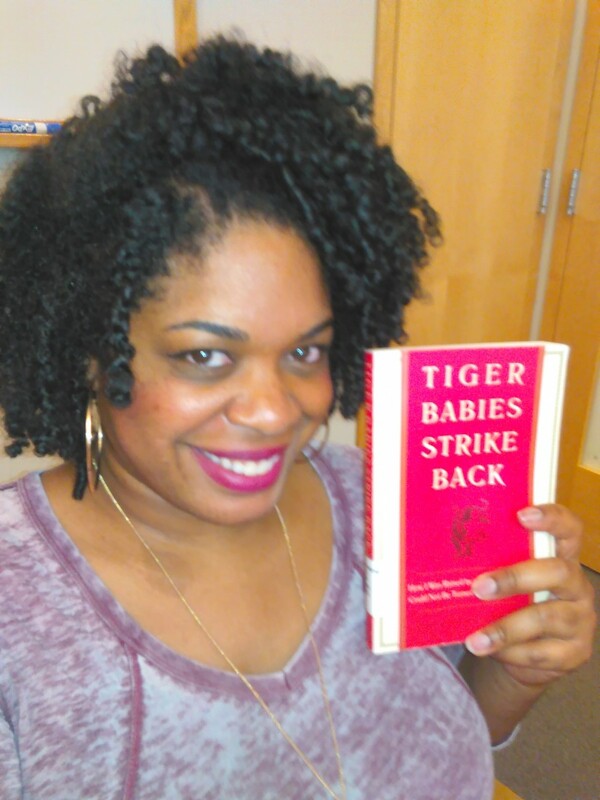 I’m currently reading Kim Wong Keltner’s memoir titled Tiger Babies Strike Back (2013). It’s a response to Amy Chua’s Battle Hymn of the Tiger Mother (2011) in which the author lays out a paradigm of parenting that is demanding of children, highly disciplined, and designed, theoretically, for their success. Moreover, to some extent, the broad coverage of Chua’s work suggests that this tendency to aggressively push children towards mesmerizing performance is in some way unique to certain immigrant groups. So far, Wong Keltner highlights the ways in which this parenting style can breed external success but may also open the door to and usher in emotional deficiencies as it discourages warmth between parents and children. For example, despite having a college degree, a steady income, and a loving marriage, in many ways Wong Keltner can still be seen as a “failure” when she uses her mother’s and/or her aunt’s metrics which insist upon greater material wealth and the reproduction of extraordinary progeny. I’m reading this because I’m always interested in the ways oppressed and minority groups survive in the United States (or, as bell hooks phrases it in We Real Cool: Black Men and Masculinity, our “white-supremacist capitalist patriarchy” (73)). I’m also reading it because May is Asian/Pacific American Heritage Month and I’m always trying to educate myself further about people who have been historically “othered.” The style includes short, punchy chapters and the voice is often humorous, always self-aware and occasionally self-deprecating. I’d recommend this read to anyone invested in seeing an Asian American man play a romantic lead in a mainstream movie for its discussion of integration and assimilation (or lack thereof); anyone interested in engaging what it means to be a successful woman in the 21st century and how that success is determined; and anyone who enjoys stand-up comedy because it makes the reader laugh in pointing out how excessively stringent standards will make anyone fail. In addition to this text, the libraries are publishing videos on our Facebook page in the Tuesdays’ Teachable Moments series to spotlight a variety of works that address these many identities. Moreover, the Davis Family Library will have a display that showcases items– books, CDs, and DVDs– in our collection that speak to these groups’ cultural heritage, too! Come by and see! I’m reading Intruder, the thirteenth book in CJ Cherryh’s Foreigner series. I began the series a couple of years ago when I realized that, despite counting myself as a sci fi fan, I had never read any works by women. After a little research, I discovered CJ Cherryh, one of the most prolific authors in the genre. (Fun fact: many women in sci fi use initials to disguise their gender.) On the recommendation of her readers, and because I absolutely adored the premise, I decided to forgo her Hugo-winning works and start with Foreigner. The series follows Bren Cameron, sole interpreter between the atevi and the humans that occupy a small island nation on the atevi’s planet. Our unreliable narrator often struggles to see things from a literally alien point of view, but always respects the cultures he works with, and takes great joy in helping others bridge that gap. The first book was an absolute slog of existential crises and heavy exposition that took me several tries to get through, but from the second book onward plots veered rapidly into political intrigue, guerilla warfare, space exploration, deep cover spies, revolutions, civil wars, and precocious eight-year-olds accidentally wreaking havoc. Fourteen books in, and Cherryh still manages to surprise me with the directions she takes. Whenever I accomplish some goal in my life, whether it be moving overseas or surviving a particularly miserable week, I reward myself with the next volume of the series. Each installment is like coming home to check in with the latest adventures of Bren and gang. The series even has its own idiolect, a little culture of terms Cherrryh’s fandom adores. You think Buffyspeak is bad? My favorite term of endearment from the books is calling someone a “salad.” Makes me warm and fuzzy just thinking about it. 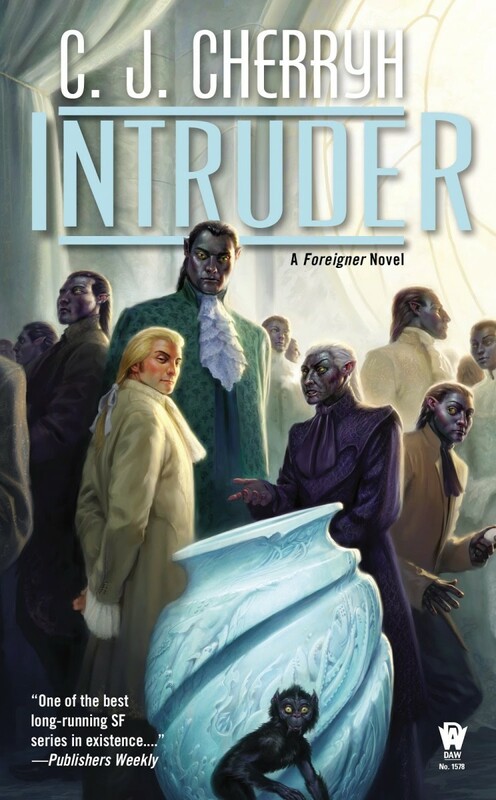 So right now I’m reading Intruder, not because it’s a bestseller or even well-reviewed, but because years ago I tried to read more widely, and this series I picked to widen my horizons has become one of the safety blankets I use when life is rough. April has been a stressful month. I’m glad Bren has got my back.